Peter Doyle was internationally recognized for his teaching and research on marketing and business strategy. He was Professor of Marketing and Strategic Management at the University of Warwick Business School. Previously he held positions at the London Business School, INSEAD, Bradford and Stanford Universities. He is the author of numerous papers which have appeared in most of the world's top journals including the Journal of marketing, Journal of Marketing Research, Management Science and the Economic Journal. His other recent books are Marketing Management and Strategy and Innovation in Marketing. He acted as a consultant to many of the most famous international companies including Coca-Cola, IBM, Nestle, Cadbury-Schweppes, British Airways, Mars, Johnson & Johnson, Unilever, Shell, BP Amoco, AstraZeneca, Norvatis, 3M, Saatchi & Saatchi and Wal-Mart. He has also advised such professional bodies as Britain's Cabinet Office, the Institute of Chartered Accountants, the Institute of Directors, the CBI, the Pacific-Asian Management Institute and the Singapore Department of Trade. During his career, Peter Doyle ran executive programmes for senior managers throughout Europe, the United States, South America, Australia and the Far East. He was voted Outstanding Teacher on numerous university and corporate courses. He held a First Class Honours degree from the University of Manchester and an MBA and PhD from Carnegie Mellon University, USA. His research twice led him to be awarded the President's Medal of the Operational Research Society and the Best Paper Award of the American Marketing Association. Summary of Part I. THE MAIN FOSSIL GROUPS. Introduction To The Fossil Record. Data From The Fossil Record.Studies in Paleobiology. 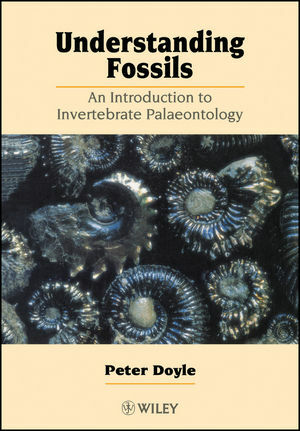 Provides broad treatment of palaeontology. Presents a balance between broad overviews and in-depth studies.